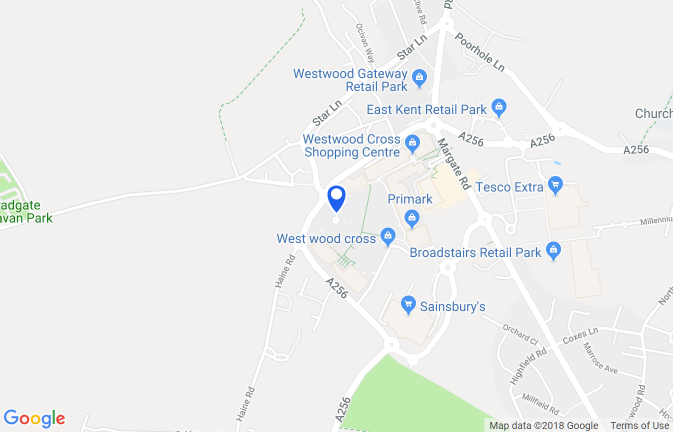 Do you have a question or some feedback about Westwood Cross? Have you found or lost something? Would you like to buy a gift card? Guest Services can be found in the Management Suite, located up the stairs in between The Body Shop and Subway. Free Wi-Fi is available across Westwood Cross using The Cloud. Simply go to Wi-Fi settings on your smartphone and set up a free account. Alternatively, download the app, set up an account and enjoy free internet access at Westwood Cross time and time again. Some of our stores also offer Wi-Fi including O2, Costa, M&S and Debenhams. Please contact individual stores for information. We do our best to make this venue accessible to everyone. This venue has recently been audited by Disabled Go who have provided full details of accessibility and facilities for disabled persons. You can find the report on the Disabled Go website. Why not shop online and collect in-store at Westwood Cross? This way you can shop from the comfort of your own home, and pick it up at your own convenience. You'll find that most of our stores are open until 7.30pm weekdays and as you don't have to pay for parking you can relax and enjoy Westwood Cross. For more information contact the individual stores. Two HSBC ATMs are based outside the HSBC bank in the main Compass Square. An external Barclay’s Bank ATM is based outside WHSmith. Kiddy Cars are now available at Westwood Cross. You can hire a Kiddy Car from Guest Services in the management suite. The cars have a handy storage area and a drinks holder, and can make shopping with the children easy and fun. Hire of the cars costs £3 for one hour or £5 for two. Parents or guardians of the child will need to bring either a passport or photo driving licence and leave a £20 returnable deposit.